Hillarys Plumbing & Gas - Providing the best plumbing services in Perth's Metropolitan Areas. Providing the best plumbing services in Perth's Metropolitan Areas. Hillary's Plumbing & Gas is a leading supplier of plumbing and gas services in Perth's Metropolitan Areas. With over 35 years, experience, Hillarys Plumbing & Gas deliver great service & excellent workmanship at an affordable price. Our tradesman are fully qualified and all our work is covered by a comprehensive workmanship guarantee. From everyday maintenance such as drain cleaning, toilet and taps, hot water units to specialised fields such as backflow testing and water leak detection, Hillarys Plumbing & Gas has you covered. We are available 24 Hours 7 days a week, 365 days a year to attend to your problems, promptly and competently! We cover all aspects of plumbing from repairing leaks, hot water and blockages to new homes and renovations. Whenever you require a plumber you can feel confident knowing we will be able to help. Our professional and courteous services ensure that all our work is completed to the highest standard at affordable rates. We are fully licensed, equipped and experienced, with training on all the tools required for the job. For every job we take on, no matter how big or small, we first identify the cause of the issue before beginning work. We won’t recommend a replacement if we can carry out repairs on your plumbing system at a more affordable price for you. No matter the plumbing service you need, you can rely on us for fast and thorough repairs, replacements, installations, and plumbing maintenance. You can be rest assured that when Hillarys Plumbing come to your home or business premises, we will be: Friendly and courteous and will keep you inform of the problem at hand and clean and tidy. Hillarys Plumbing & Gas is a friendly, locally owned and operated business with over 35 years of experience that can cater for all your plumbing needs. We are able to service all suburbs in Perth. Fully equipped with specialized equipment, electronic leak detectors, electronic gas leak detectors, drain machines, and backflow prevention testing equipment. Fully accredited and qualified, exceeding all on-site safety regulations and requirements. 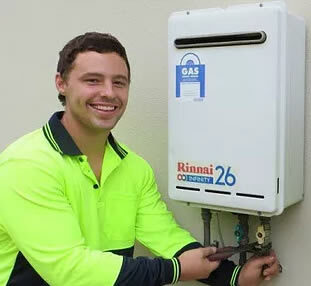 Our team of plumbers at Hillarys Plumbing & Gas are highly qualified and holds the necessary accreditation to tackle any plumbing or gas works you may require. When in need of a local plumber, you can be rest assured that we will provide a fast & efficient plumbing service at a affordable rates. When you call Hillarys Plumbing for any plumbing issues, you will speak direct to the plumber who will do the job not a call centre. When it comes to plumbing... Make the right choice! Call Hillarys Plumbing & Gas. We are Perth’s leading supplier of plumbing and gas services.